Toronto, ON – October 18, 2018 – The Canadian Council for Aboriginal Business (CCAB) is pleased to announce the Mikisew Group of Companies has become a Patron Member. “Mikisew Group of Companies is both honored and proud to become a Patron Member of the CCAB. 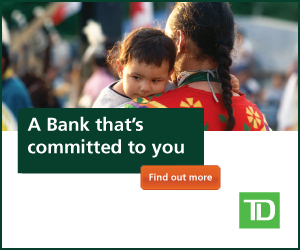 Our goals and objectives as an Aboriginal business align with the vision and values of CCAB. I’m fully confident that the success of our company will continue to prosper through the support of CCAB. We’re committed to developing sustainable and long-lasting business relations across Canada and becoming a Patron Member allows us to develop and maintain partnerships that will strengthen our community and Country both socially and economically,” said Edward Courteoreille, CEO, Mikisew Group of Companies. CCAB Patrons represent the innovators who have made the highest commitment to bridging gaps between Aboriginal– owned businesses, Aboriginal Economic Development Corporations, and corporate Canada.